Broadcast your brand. The world is waiting. Managing a brand’s reputation in the public eye is no simple task. Whether you’re responding to a last-minute media inquiry, dealing with negative publicity, or monitoring the web for newsworthy content, the message is clear: to succeed in public relations, you need to be strategic and quick to adapt to new trends and technology. 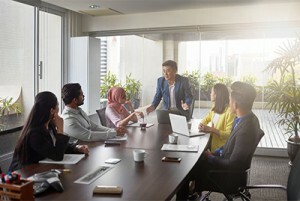 Top public relations executives agree that career success means being an incredible storyteller and trusted strategic business advisor—Someone who can leverage emerging technologies and critical thinking to build lasting relationships with stakeholders. 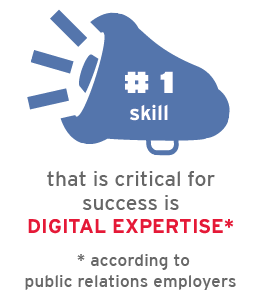 This shift in skill demands is why top companies are struggling to hire and keep the right public relations professionals. Using the right tools at the right time can mean the difference between a media firestorm or the recruitment of countless new brand influencers to support your cause. Created in collaboration with industry leaders, the 8 course full-time Post-Graduate Certificate in Public Relations gives you the expertise to broadcast your brand message to the right audience, at the right time, using both traditional and digital media. Real-world project work with actual companies will give you the chance to learn and practice effective public relations strategies, business principles and stakeholder relationship management, as well as how to respond to crises and manage brand reputation. 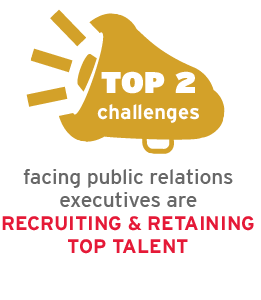 All this, while building the core job skills that top employers are looking for when hiring for public relations jobs. In public relations, it’s all about the story. Make sure the story of your career is a success. The Post-Graduate Certificate in Public Relations is ideal for recent degree graduates and international students who want to a comprehensive foundation in public relations. The Post-Graduate Certificate in Public Relations is an 8-month full-time program. You’ll come to our Keele Campus in Toronto, ON to attend class 4 days a week for 3 hours each day. After your courses are complete, apply what you’ve learned with an optional 8-week work placement at a local organization! Your time in the Optional Work Placement will count against the total allowable time granted for your work permit (if applicable). For example, if you are granted a 12-month work permit, you will only have 10 months of eligibility after the work placement is complete. Christine is a results-oriented communications professional with more than seven years of experience, specializing in internal communications. 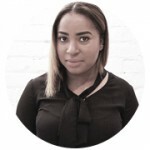 She is currently a Communications Manager for the Wireless division at Shaw Communications and has a firm grasp of corporate messaging, branding, event planning and leadership communications. Christine has always been passionate about the telecommunications industry and enjoys enhancing employee and customer engagement through internal and external communications, along with testing new products and services. She has had success facilitating the development of employee communication initiatives including leadership blogs, vlogs, town halls, emails and speaking notes, as well as identified communication gaps between management and front-line employees. Her work has resulted in new processes that better support internal stakeholders in day to day operations. 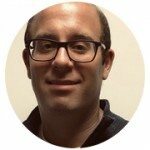 Lonny is a seasoned communications professional with more than 16 years of experience in public affairs, media relations, project management and strategic communications. 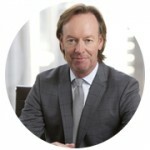 He has held various communications positions within the Federal Public Service and is experienced in working with senior executive levels, including the Canadian Prime Minister’s Office, several Federal Ministers and senior military officials. Lonny has had a varied career including working as a television news producer, covering federal elections, Olympics and Remembrance Day Ceremonies. While working for the public service, he was responsible for media relations for the 2010 G-8 and G-20 Summits in Ontario. Since 2014 Lonny has been managing public affairs at the Department of National Defence (DND). In this role he has coordinated communications for national events such as the 2017 Invictus Games, the visits of the Royal Family in Canada, Ceremonial Guard activities on Parliament Hill, and Canada Day celebrations. 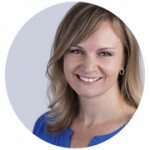 Cathy has worked on high profile PR campaigns with some of the most brilliant brands & marketers in Canada. She’s a 20-year PR agency veteran with an MBA, who founded Cowan & Company Communications—a communications agency specializing in premium lifestyle brands—which has been recognized 4 times as IABC/Toronto’s Boutique PR Agency of the Year. In addition to winning numerous awards for marketing communications, media relations, special events, publications, social media and social responsibility, she’s collaborated with trailblazing brands, including L’Oreal Paris, Kraft, Jamieson Vitamins, Cisco, Expedia, Nintendo and Food Banks Canada. But, ultimately, extraordinary communications results are her driving passion and greatest professional reward. She’s thrilled to share these real-world Canadian PR successes and best practices with her students at York University. Shari is an accomplished, award-winning and results-driven PR professional with a unique blend of advertising and PR agency, and client-side experience spanning more than a decade. Over her career, she has worked across a number of disciplines including technology, government and the not-for-profit sectors. Shari has a proven record in creating, activating and leading a wide range of integrated marketing communications, corporate communications, issues and crisis management, traditional and social media programs for companies including LG Electronics, PayPal, Sage Software and Hewlett-Packard Canada with demonstrated success in surpassing awareness to target markets and driving business growth. She has a keen understanding of how the PR practice continues to evolve and the skillsets needed to drive the industry forward. * Non-refundable administrative fee of $125 that is due at the time of registration. Applicants will be notified directly if additional information or documentation is required. We highly recommend that international students submit their applications early to gain entry into the program (many fill up) and allow sufficient time to obtain a visa. You may be eligible to transfer a maximum of one equivalent course credit from other institutions and receive advanced standing. There must be 80-90% overlap in content and curriculum, and the same number of hours as the courses offered in the School of Continuing Studies program. The courses must be at the university level (from an accredited academic institution) with a grade of C or better. College equivalents will be considered. Courses must be taken within the last 5 years. Transfer Credit requests can be forwarded to the Program Manager at continue@yorku.ca, or in writing to: School of Continuing Studies, Attention Post-Degree Certificate in Public Relations Program Manager 4700 Keele Street – Room 116 Atkinson Toronto, Ontario M3J 1P3. If possible, please contact your instructor before the class. In your message, be sure to include your full name, student number, and the reason for your absence. You’ll then be required to make arrangements with your instructor to make up the missed hours. The School of Continuing Studies reserves the right to withdraw or cancel programs/courses, and students will receive a full refund of fees paid. The School of Continuing Studies reserves the right to alter fees, other charges, and course dates, times, locations, and/or instructors as needed. Please note that the School of Continuing Studies is not responsible for travel cancellation charges that students may incur. If you do not pass a course you will still be permitted to continue in the program but will have to repeat that course with another cohort. The School of Continuing Studies works in partnership with York University’s Student Accessibility Services to support our students. Students who need special accommodations must be assessed by Student Accessibility Services before alternate arrangements can be made. Please visit their website (https://accessibility.students.yorku.ca/) for details on how to register with their department. Shari is an accomplished, award-winning and results-driven PR professional with a unique blend of advertising/PR agency, and client-side experience spanning more than a decade. Shari has an accomplished record in creating, activating and leading a wide-range of integrated marketing communications, corporate communications, issues and crisis management, earned and social media programs for companies including LG Electronics, PayPal, Sage Software and Hewlett-Packard with demonstrated success in exceeding targets and driving business growth.